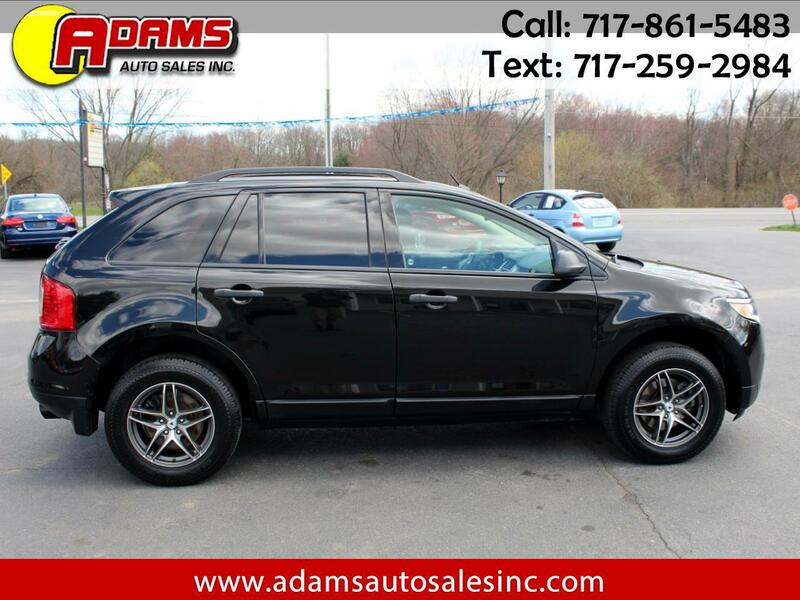 Used 2012 Ford Edge 4dr SE FWD for Sale in Lebanon PA 17046 Adams Auto Sales Inc.
***SLEEK & SPORTY*** This 2012 Ford Edge SE 2WD sport utility is a must see! It is equipped with a V6 3.5 liter engine and an automatic transmission. It is loaded with options like rear spoiler, roof rack and alloy wheels. It also has a rear parking sensor and privacy glass. The black exterior and black interior are in excellent condition. Well maintained both inside and out. Brand new inspection and emissions, good thru May of 2020. It comes with a 3 month / 4,000 miles (whichever occurs first) powertrain warranty. Ask a salesman for more details. Free Carfax report is available. Hurry in for a test drive because this awesome 2012 Ford Edge SE won't last long! Visit Adams Auto Sales Inc. online at www.adamsautosalesinc.com to see more pictures of this vehicle or call us at 717-861-5483 today to schedule your test drive. It comes with a 3 month / 4,000 miles (whichever occurs first) powertrain warranty. Ask a salesman for more details.